In today’s era of technological advancements, the way businesses operate has changed. Enterprises demand more productivity and collaboration from employees and end users need the ability to work from anywhere, while the line between work and personal life becomes blurred. The surge in BYOD (Bring Your Own Device) has seen an increase in employees using more and more personal devices for business use. More than half the workforce today uses three or more devices on an average per work day. These users need access to cloud, collaboration and data services on these devices to get their jobs done, and this creates huge potential for cyber threats including espionage, fraud, terrorism, and financial crimes including ransomware. Most security experts focus on perimeter security, but as the world becomes more mobile and cloud-connected, it becomes increasingly more difficult to determine where the perimeter of your systems resides. 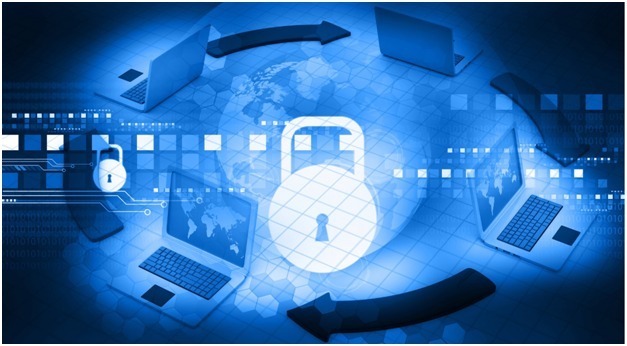 The security is not an absolute, and no matter how much an organization has invested in active security measures for securing its systems, it ultimately depends on the end users and employees of the organization, as they are the weakest link where security concerned. Security policies, education, and training can mitigate risks, but this is often not enough. Most companies use Microsoft Windows to run their businesses. Microsoft’s Windows 10 has many new and updated security features to help protect users and devices against modern cyber security threats. New devices from Intel using their 6th and 7th Generation Core vPro processors also have new security features that make Intel business devices more secure, especially when combined with features from Windows 10. Of course, all the security features and policies in the world can’t protect your organization if you don’t implement them. Your organization must realize that cyber intruders aren’t just targeting your servers and network firewalls, they are focusing on your end users. Phishing attacks, compromised websites, and emails with Trojans are targeting your users and their old and insecure endpoints. The lack of security features on these endpoint devices connecting to your corporate data and network systems are just as good as a gaping hole in your network firewall. It isn’t a matter of if your organization will have a security breach, but when. Sogeti recently published a whitepaper on the business security benefits on running Windows 10 on modern Intel 6th and 7th generation devices. It’s an excellent place to start a dialog on protecting your organization from cyber threats coming in 2017. Darren Baker is the Business Development Director for Sogeti’s SMART WorkSpace Solutions. Darren helps customers evolve their workplace strategy and vision into the new world of work based on SogetiLabs Connected Workforce methodology. Darren is a public speaker and has spoken on behalf of Sogeti, Intel and Microsoft and appeared in several Microsoft videos. Darren also manages the Sogeti Intel Alliance, and travels throughout the 13 Sogeti operating countries and conducts training for the sales associates and consultants to ensure Sogeti can deliver cutting edge technology solutions. how SOON would that probably be? i’m sure MSFT policies will do the trick.